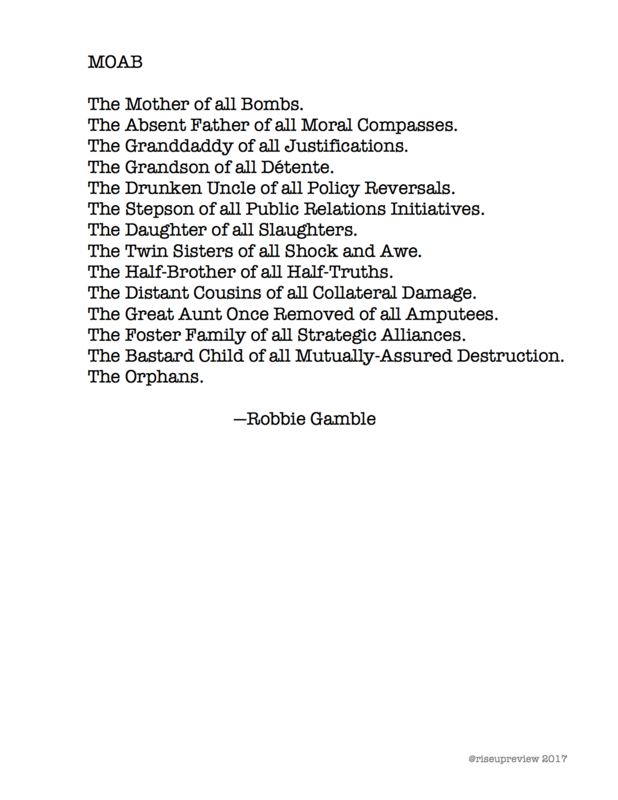 Robbie Gamble lives in Brookline, Massachusetts. He recently completed an MFA in poetry at Lesley University. When not preoccupied with image and line breaks, he works as a nurse practitioner caring for homeless people in Boston. He has work out and forthcoming in The Wax Paper, The American Journal of Poetry, DISTRICT LIT, and Poet Lore.